AusVic Perennial Ryegrass was bred from seed collected out of very old pastures around the drier parts near Goulburn NSW and Western Victoria. Plants selected were KV or Victorian types and breeding was based around increased winter production, persistence and high seed yield. AusVic Perennial Ryegrass was then developed into a Low Endophyte Ryegrass to assist stopping ryegrass staggers and has a flowering date between KV and Victorian. AusVic Perennial Ryegrass is a very low endophyte Australian bred Perennial Ryegrass. The development of AusVic Perennial Ryegrass has produced a ryegrass designed to STOP STAGGERS in Sheep, Cattle and other grazing animals by greatly reducing the endophyte level. AusVic Perennial Ryegrass was developed and bred by Vicseeds and Innovative Plant Breeders. AusVic Perennial Ryegrass is a versatile, persistent, perennial ryegrass suitable for prolific feed production under a wide range of dryland farm conditions. 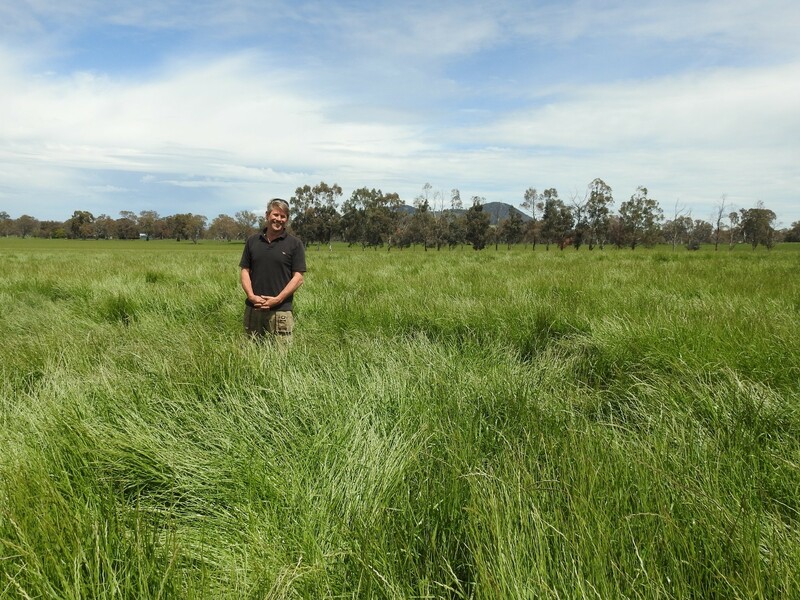 As AusVic Perennial Ryegrass is a prolific seeder it can be left to set seed in its first year or subsequent years to recruit more plants and thicken the pasture naturally. AusVic Perennial Ryegrass is an Australian bred ryegrass for the unique Australian conditions of long summers and low fertility. Quality is assured through registration under “Plant Breeders Rights”. Based on its Australian breeding genetics and with careful grazing management AusVic Perennial Ryegrass should persist extremely well. 550 to 700mm: 12 to 15 kgs/ha. 700 to 850mm: 15 to 20 kgs/ha.